Movie review: The Children Act - Humanist Society of Victoria inc.
A film adapted for the screen by Ian McEwan from his 2014 novel of the same name. Emma Thompson plays a British judge, Justice Fiona Maye, who must decide whether a teenage boy, suffering from leukemia, should be given a life-saving blood transfusion, against his wishes and those of his parents, who are Jehovah’s Witnesses (JW). Nova Cinemas in Carlton hosted a special event on 22 November 2018, at which Dr Lauren Notini, bioethicist at the Melbourne Law School and the Murdoch Children’s Research Institute, discussed some of the issues raised by the film, as well as several similar cases. Justice Maye, while sitting on this case, is struggling with personal distress, and the question of how much this intrudes into her professional appraisal is left for us to judge. Her marriage is at a crossroads. She is intensely preoccupied with her work and the weight of the issues before her – whether conjoined twins should be separated; one will die if they are, both will die if they aren’t. Her husband announces that he misses their former intimacy and is planning to have an affair. We also learn that she is childless. What effect does all of this have on her judgement? In her professional role she is crisply effective, but her personal life is submerged and blunted. Dr Notini described a condition of Moral Distress, where a conflict exists between what needs to be done, and what can be done. Moral Residue is the longer-term outcome of this predicament, and counselling may be helpful. Adam, the leukemia sufferer in the film, is aged 17 years and 9 months. If he were 18, he would, by British law, be judged an adult and able to make a decision about his own treatment. We learnt that the law in Australia is more complex. In an emergency situation treatment may be given which might not otherwise be acceptable. The age at which a young person is competent to give consent is also more complex, turning on whether he or she is judged mature enough to assess the issues at stake. Lauren said that, even if a minor is considered competent to make a decision about the situation, the Court still has the authority to intervene under the Parens Patriae Act. The new Victorian Medical Treatment Planning Act 2018 was also discussed. 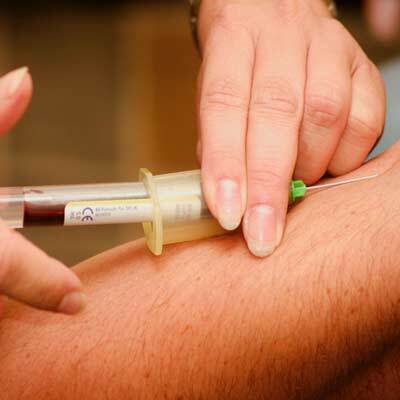 Within the provisions of this legislation an Advanced Care Directive (ACD) might specifically preclude the use of a blood transfusion as part of treatment. However, even under these circumstances the Human Tissue Act might over-ride an ACD. In hospital settings, Letters of Understanding can be drawn up, for example, with JW families. This is a collaborative process, undertaking to explore all other possible avenues of treatment before transfusion is considered. Justice Maye, after hearing argument from the barristers for Adam and his family, as well as the treating specialists, decides to visit the hospital herself and talk with Adam. It is an unusual professional step and it is a poignant moment in the movie. Her professional detachment is affected and she is devastated by the consequences. She has been unwilling or unable to discuss her personal distress with her husband or colleagues. It is an enigma why she decides that she must hear from Adam, face-to-face. The film is now screening widely across Melbourne and is well worth seeing. Superb acting and a compelling story at several levels.